Friday, June 29, 8:15pm - 10:45pm. See you at the Prom! Are you in need of some serious bicycle bling??? 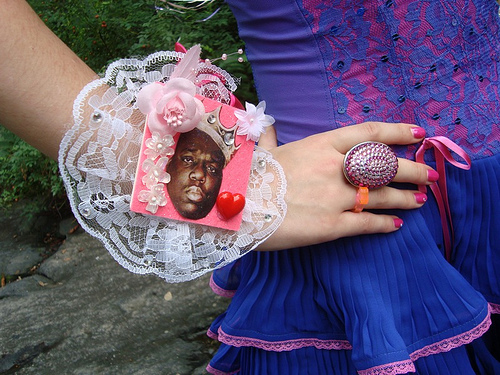 Well, join us at Bike Prom where we will be 'gifterventioning' folks with stunning, quirky, wild and wacky bike corsages. We are packin' heat! .... glue guns in particular! We are celebrating the Art of Giving Art!